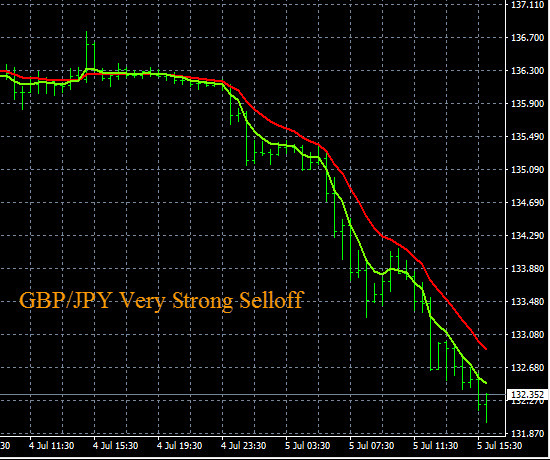 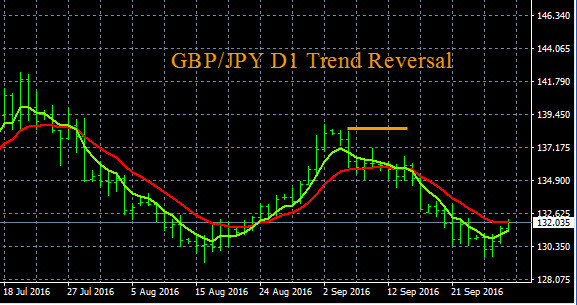 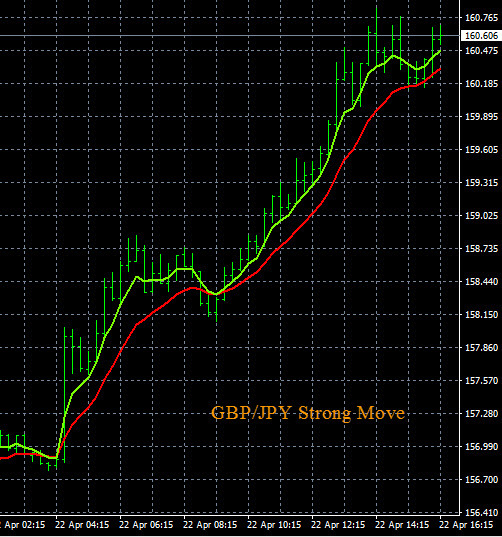 Today in the forex market we had a sell alert on the GBP/JPY from The Forex Heatmap®. 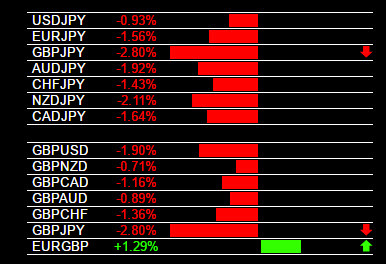 The Japanese Yen (JPY) was strong on all pairs in the group and all of these pairs dropped. 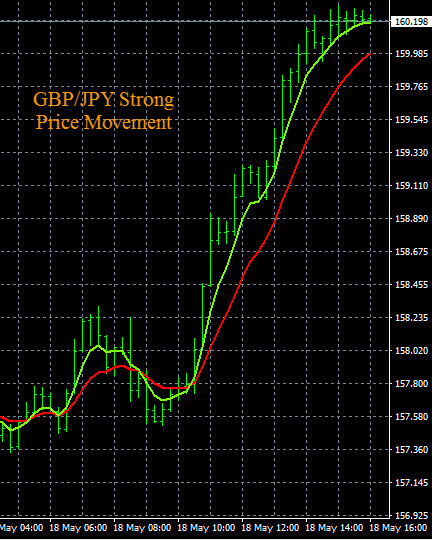 There was also some GBP weakness in the market, so this pushed the GBP/JPY strongly lower. 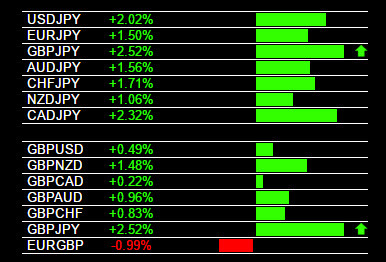 The long term trend on this pair is down, but is still has some near term support levels down to the 160.25 support area before fully breaking out. 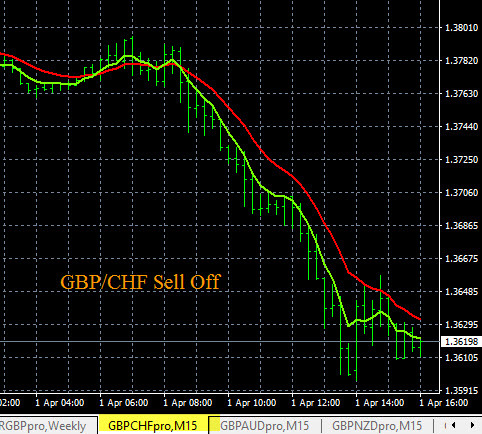 For this reason traders should scale out some lots on any profitable trade entries, while setting stops to break even. 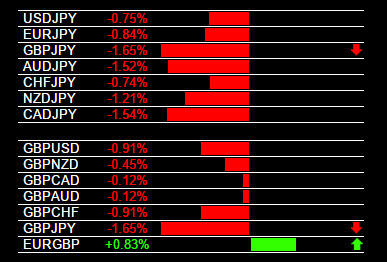 The alert system you see below is The Forex Heatmap®, which provides live visual trading alerts for 28 pairs and eight different currency groups.